Lovely piano, shows strong August Forster craftsmanship. Fleming action. Excellent condition. Located in Connecticut. 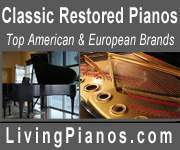 Most excellent and affordable step up for serious pianist moving from a vertical or mass produced grand. 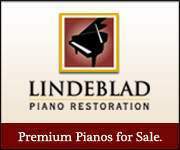 This is truly a "hand made in Germany" piano. Other than the smooth Fleming action, you will see very few differences with a modern August Forster.